Double Nail Art Challenge: October is #HePicksMyPolish + #ShePicksMyPolish month! 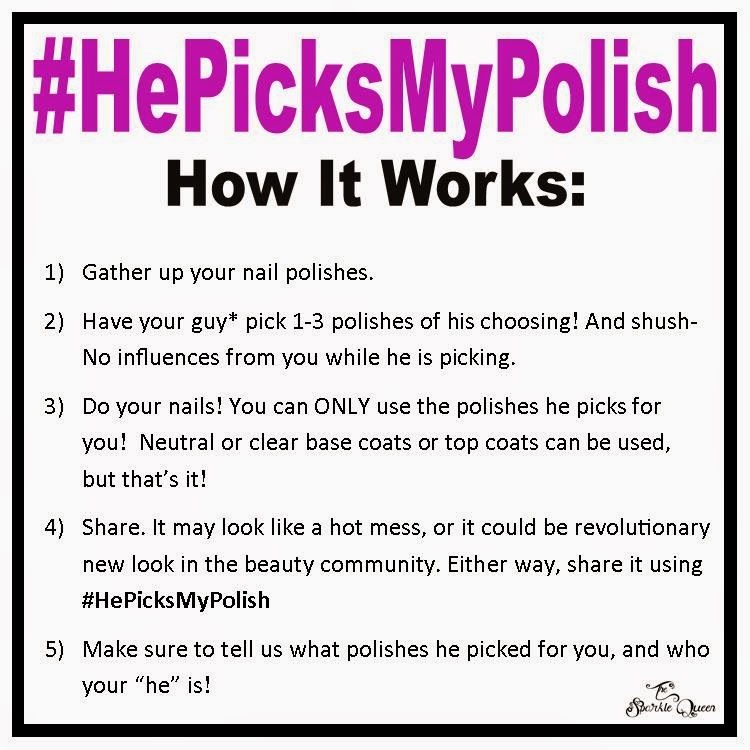 OCTOBER IS A #HePicksMyPolish + #ShePicksMyPolish CHALLENGE MONTH! 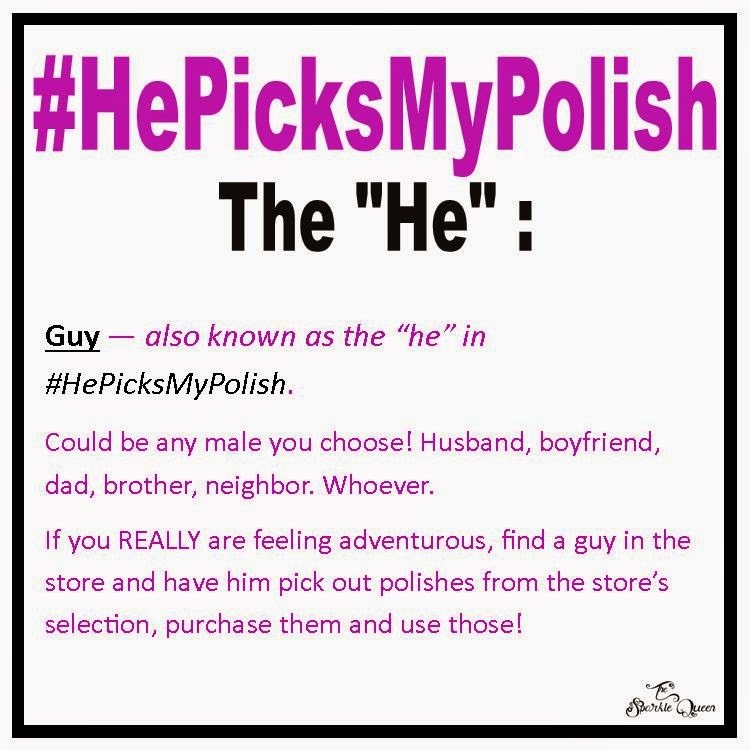 Every few months we open up the challenge to be #ShePicksMyPolish too. Same rules apply, only a she is picking out your polishes to work with. And since there is never a limit to how many looks you can enter, I encourage you to make two looks: one for each challenge! Want to join in? You don’t have to be a blogger to join this link party! The “if you can link to it, you can share it” rule applies. See what others made for the September challenge here.